Varsity in 1st Place with Dominant Win Against the Kangs! With all of KingCo watching closely, the Stangs stepped up for an impressive performance againt the Lake Washington Kangs. Earning a 5-0 win with contributions from most of the roster, Redmond were in complete control over the game. Well done, lads! In a game with plenty of league and playoff implications, the RHS Varsity Squad pulled off a MASSIVE win against Mercer Island. Combining intense pressure on defense and calm composure on offense, the Stangs put in one of their most consistent performances of the season. The final score was 2-0 off of goals from Jacen Stein and Angel Hernandez, while the clean sheet was maintained through standout performers Nathan Tibbs and Ricardo Escalante. On to LW on Friday, which will see the #1 and #2 ranked teams in KingCo going head-to-head! Come out to Support Your Stangs on a HUGE Monday Night! This Monday, April 9th, will find all three Redmond Boys’ Soccer Teams in big games. If you are able, we welcome you to join us in supporting these young men! It will be a fun night of fantastic, competitive soccer. C-team will be away against Eastlake at 6pm. Our Stangs were left with a sour taste in their mouths from last year’s battles with our bitter 4A rivals, so this year’s C-team is highly motivated! You can expect a hard-fought, physical, and intense match. Coach Antonio will undoubtedly have our team ready for the challenge, so come out and support our young Stangs during their big game! JV will be playing at home against Mercer Island at 5:30pm. Or JV Stangs have been simply dominant all season long– remaining undefeated while playing beautiful, composed soccer. Scoring over 40 goals and only conceding 3, these guys are rolling! If you haven’t caught one of their games yet, you’re missing out! Mercer Island will be a tough test, as they will be looking for some revenge for a humiliating 3-0 defeat in the first match. So it should be a good game to watch! Varsity faces Mercer Island at 7:30pm. Come out to Walter Seabloom Field to watch this highly-competitive match against two powerhouses in 3A KingCo. MI always plays well, but Redmond has had their number this season thus far. The Stangs will be looking to build on their impressive performance against Juanita last Wednesday night (4-1 win), and begin asserting their dominance over the league. With impressive keepers Ricardo Escalante and Sean Rash, a solid back line anchored by juniors Reece Wyrick and David Dias, offensive maestros Jacen Stein and Angel Hernandez, and the always consistent versatility of Victor Araujo, the Stangs will be a threat to anyone they face! All three teams have a big night! Come out and show your support! Go Stangs, baby! After giving up an early goal, the Stangs settled down for a good spell, pulling ahead by halftime on 2 Stein goals (Wharton assist). The second half was back and forth, with Interlake tying the game and Redmond getting the game winner with only a few minutes to go (Stein free-kick). Final score to a scrappy game, 3-2. Varsity Wins Big on Friday! Varsity earns a 5-0 win against Sammamish on Friday! 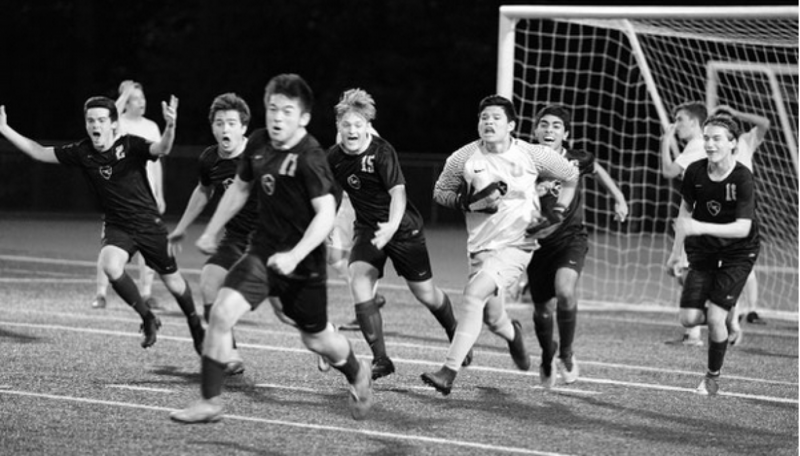 Varsity played a must-win game versus Sammamish last night and moved in a positive direction, both with the result and the style of soccer we are emphasizing in the program. The biggest step forward was the numerous quality chances the team created. Scoring and assists came from all over the field and in a variety of ways. The defense also stood firm and kept Sammamish out of the goal. Overall a really solid performance from everyone. Islanders left on a Lonely Island as RHS Wins the Night! Last night both the Varsity and JV teams for Redmond defeated last year’s league champs, Mercer Island. With two hard fought, hard won games, the Stangs deserve some serious credit! See below for breakdowns of each game. Varsity conceded early, but came back to win the game. The combination of heart, mental toughness, and persistence led the Stangs to force the Islanders into two own goals, thereby ensuring victory. Well done, gentlemen! Varsity, JV, and C-Team all Victorious in 1st Preseason Games! 3/10/18 Varsity vs Meadowdale: 1-0. 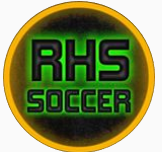 Dominant 3-0 performance by RHS, highlighted by a clean sheet from keeper Condon and an offensive onslaught early in the first half by forwards Price, Rabadan, and Hernandez. Wonderful Houdini-like splitting of defenders deep in Meadowdale territory by Rabadan set up the assist to complete the Price hat trick in the fourteenth minute. Good intensity and “first-to” ball from midfield and defenders saw RHS controlling the remainder of the festivities. Goals: 2’ (Price), 11’ (Price), 14’ (Price, assist by Rabadan). On the first day of the 2018 season, Redmond started off a little slow, but finished with a flurry of goals in the second half to beat Woodinville 3 goals to nil in the home opener. The first goal was a nice cross from # 21 Ben Rist to #20 Max Ivanov to put the Stangs up 1-0. Then a few minutes later, with a flurry of activity inside the box, #13 Will Fitzgerald won the ball and placed it into the back of the net. To complete the scoring for Redmond, Will Fitzgerald put a nice cross into Brandon Lee who headed it into the back of the net off a late corner kick. The Stangs defense was stout and kept the Woodinville Falcons scoreless in the game. What a start to the season! Go Stangs baby!